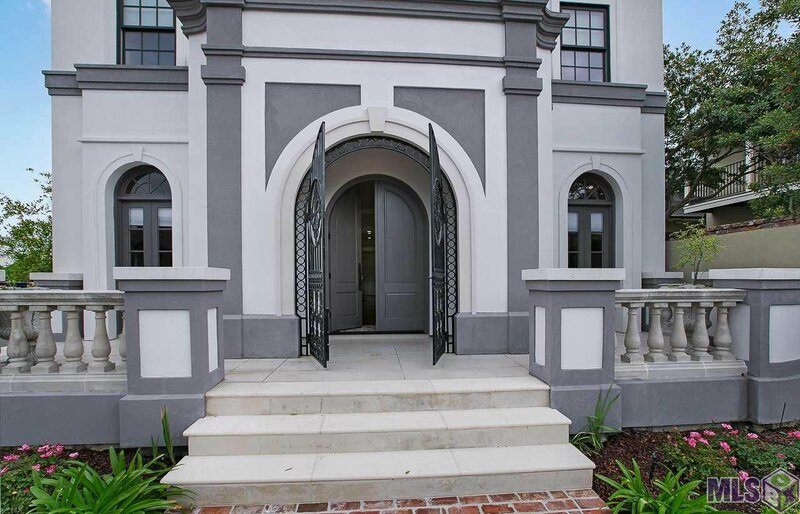 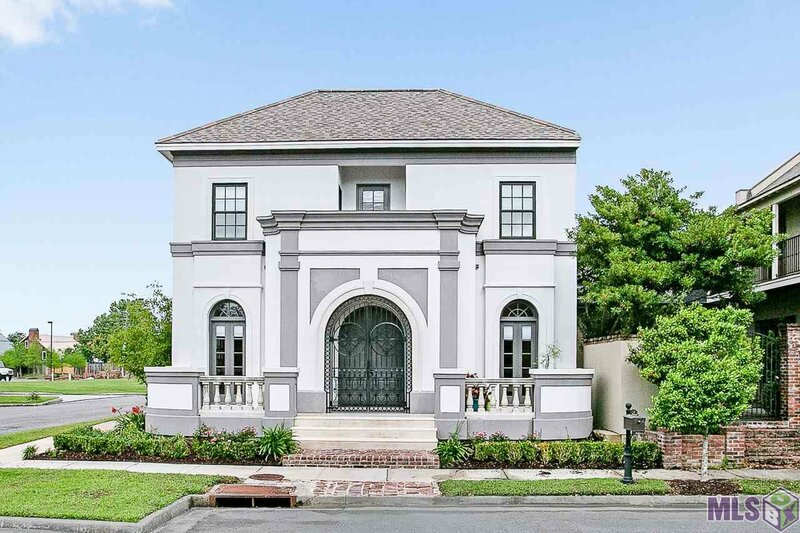 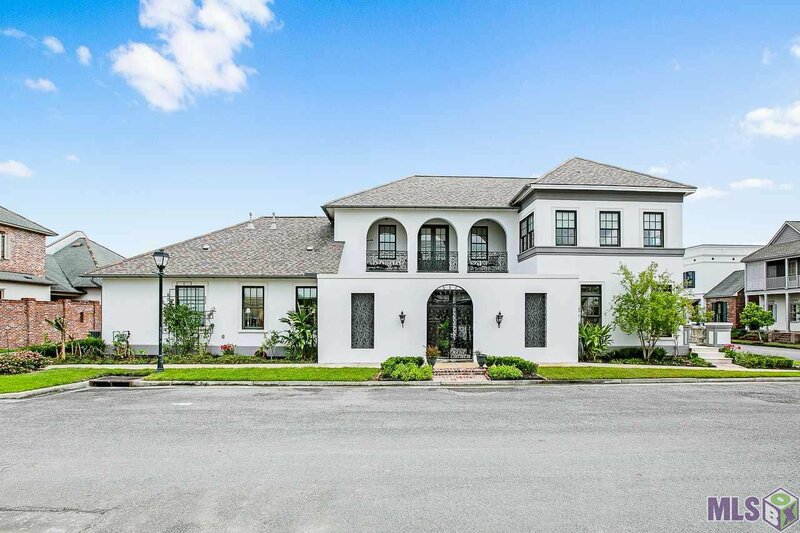 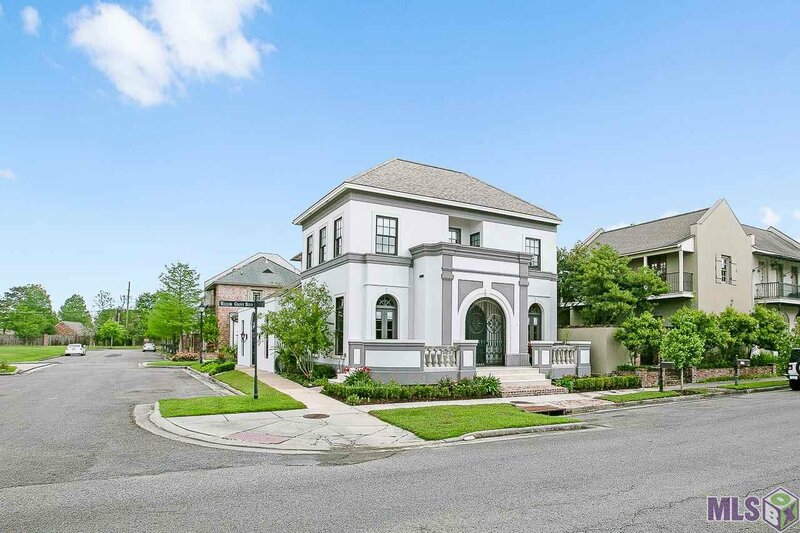 The curb appeal of the arched wrought iron entrance gate and the stately stone columns that line the porch give a hint to the “wow factor” this home inspires! 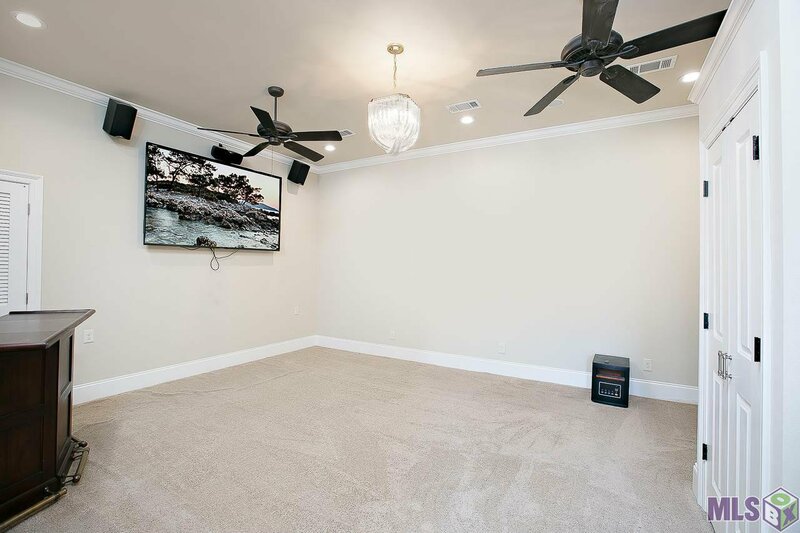 This unique gem situated on a corner lot in Willow Grove provides 3 bedrooms, 2.5 baths, as well as a spacious media room. 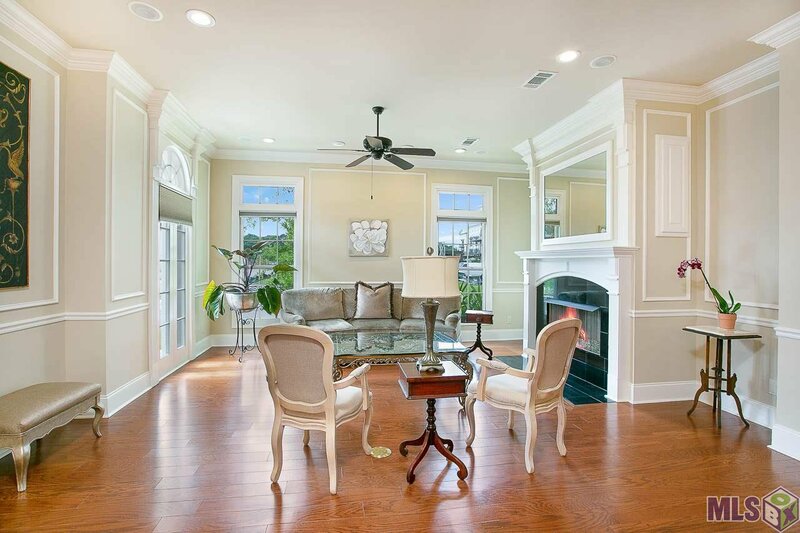 Upon entering, you will find an open floor plan flowing from the stunning dining area into the living room. 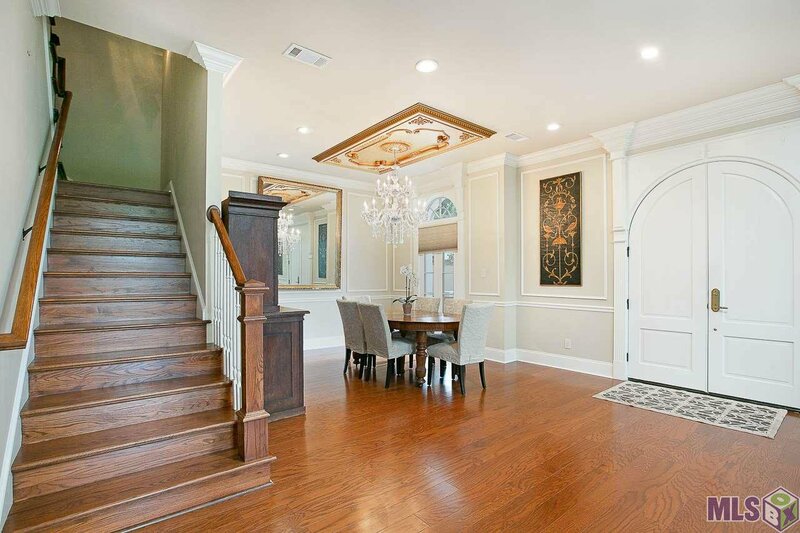 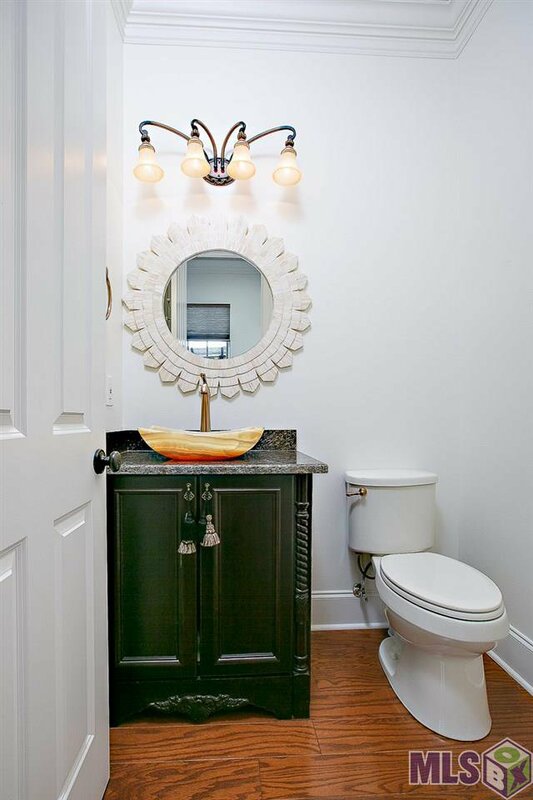 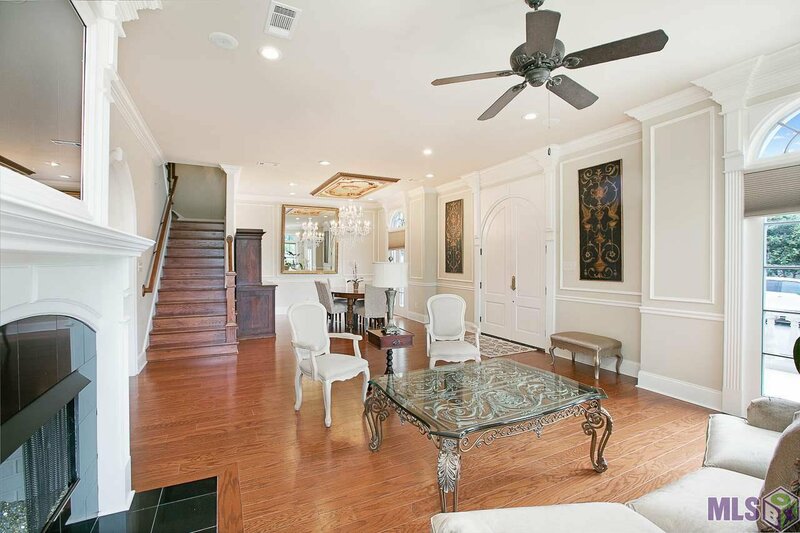 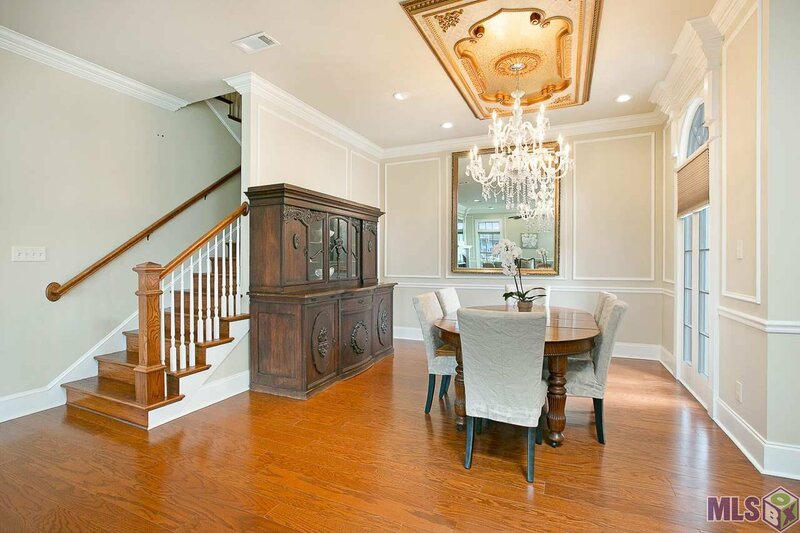 Notice the triple crown molding and outstanding millwork on the walls, as well as the GORGEOUS 18-light chandelier hanging from a custom ornamental ceiling medallion in the dining area. 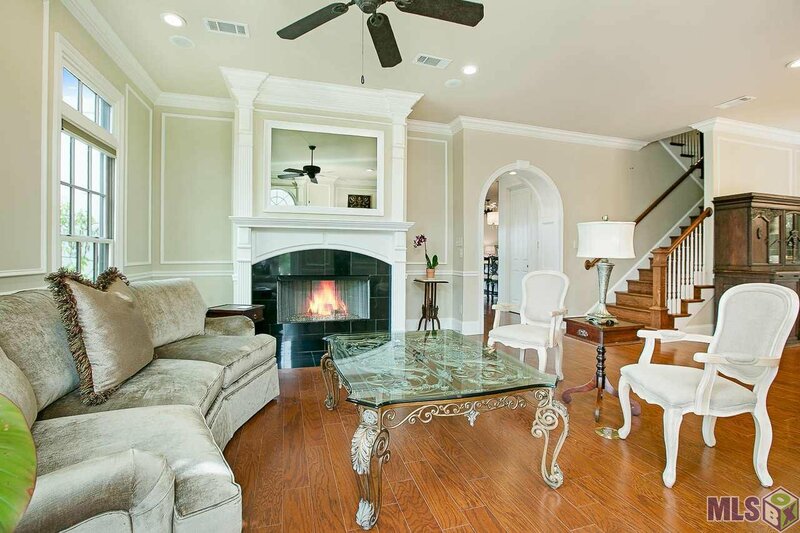 Above the cozy fireplace is a see-through mirror & TV hookup behind it! 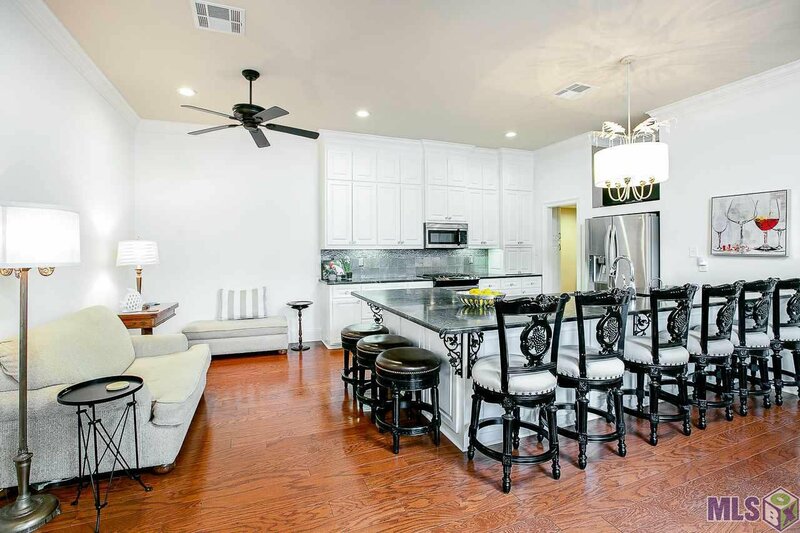 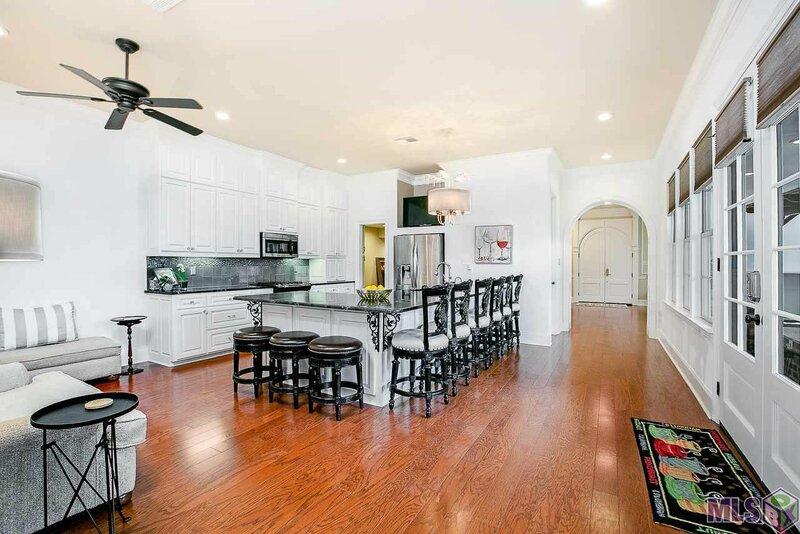 If you enjoy entertaining, imagine guests around the large L-shaped island, that seats 9. 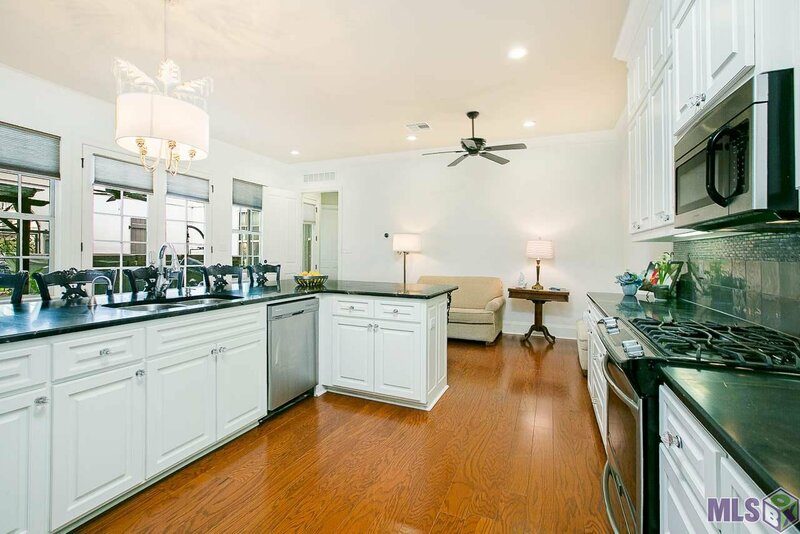 The family chef will also love the wealth of storage with cabinets to the ceiling, double sink with sensor faucet in the island, and a gas cooktop stove.   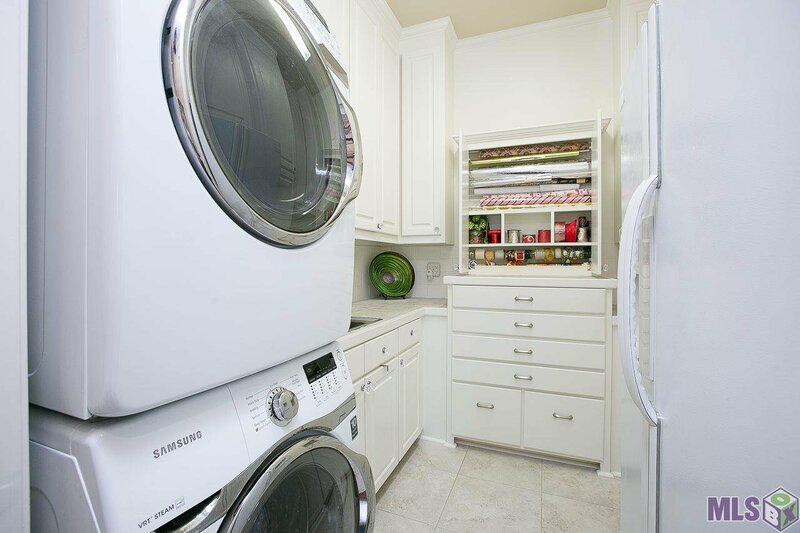 Perk: all appliances remain in the home. 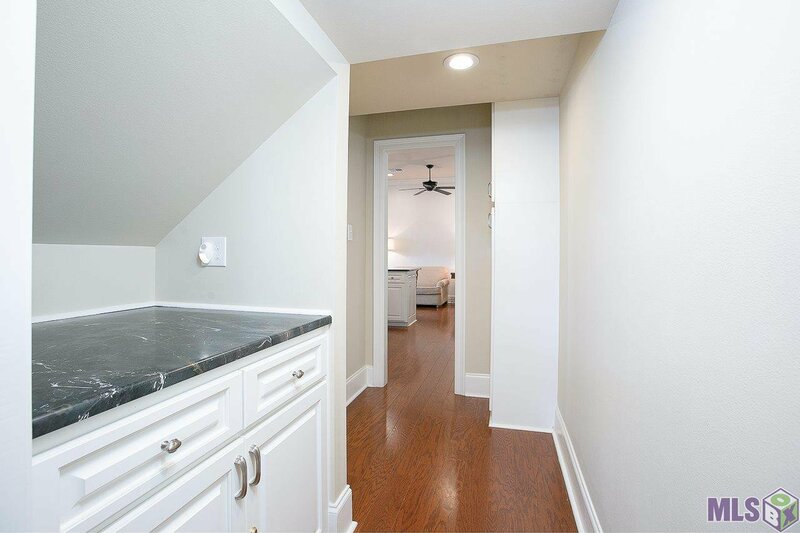 Past the kitchen, is the laundry room with stacked washer & dryer and LOTS of built-in storage space. 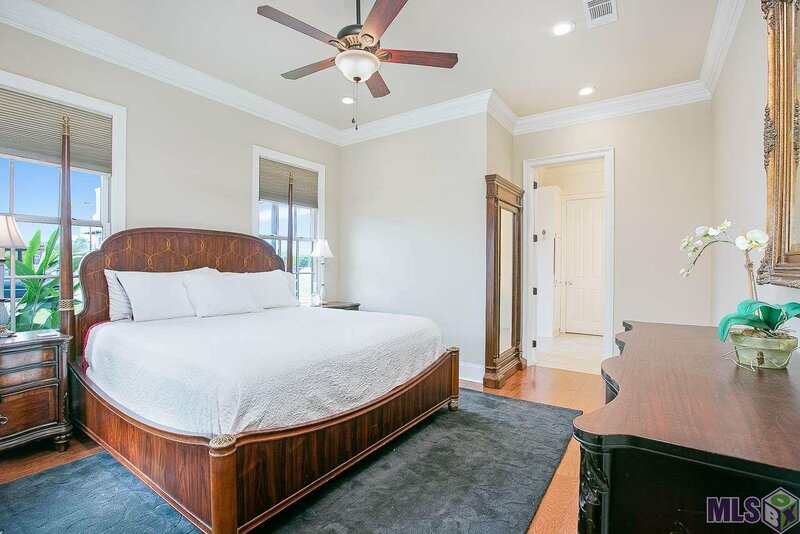 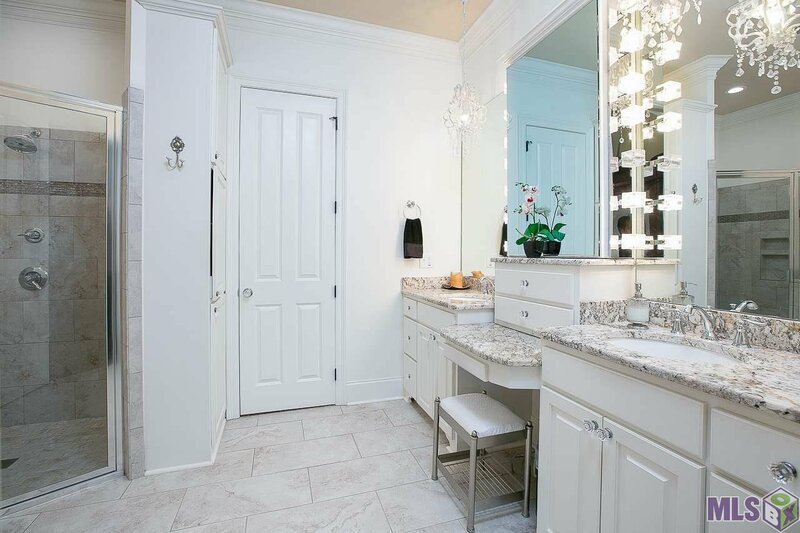 Heading into the spacious master bedroom, notice the door accessing the large patio, as well as another see-through mirror to hide your television in the master bath. 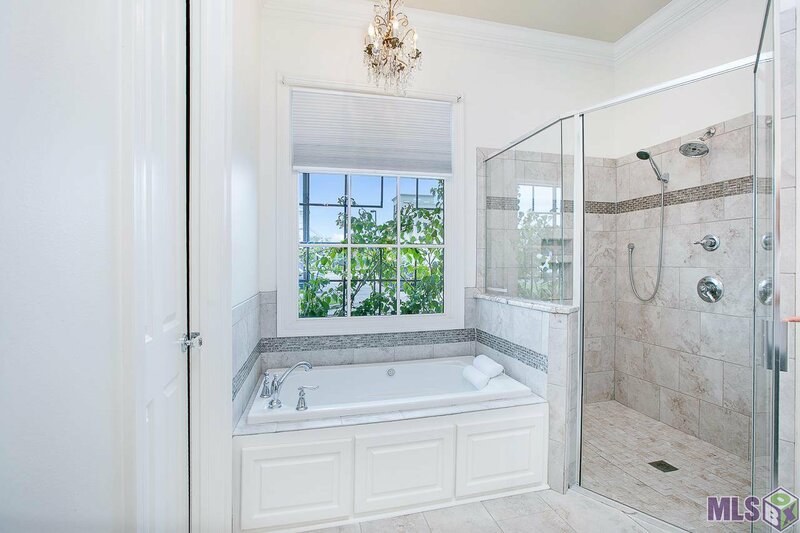 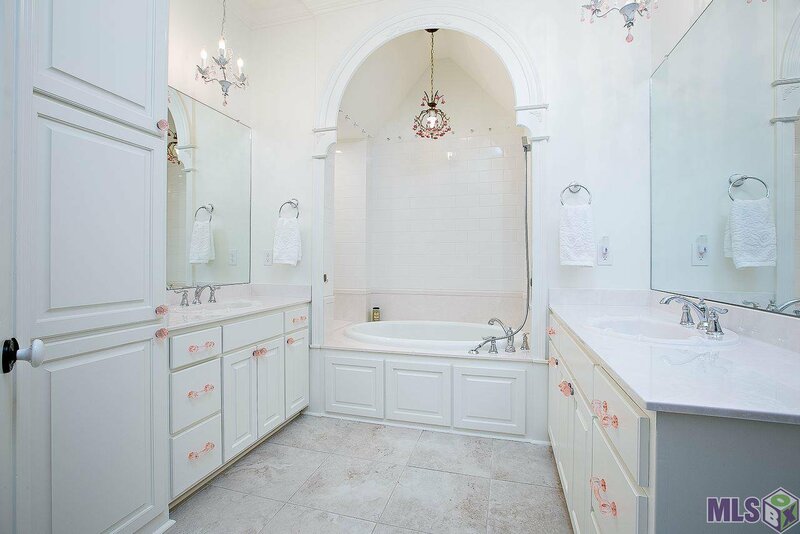 The master ensuite bath highlights a large custom double shower, spacious air jetted tub, dual vanities and a large walk in closet. 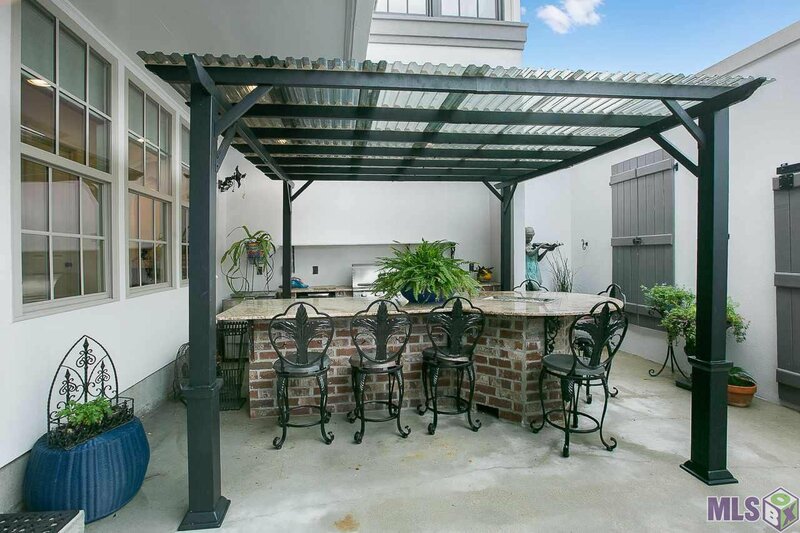 Relaxing on the patio is nothing short of awesome here, as it offers a large outdoor kitchen with pergola & TV hook up, and a small fire-pit with crystal stones. 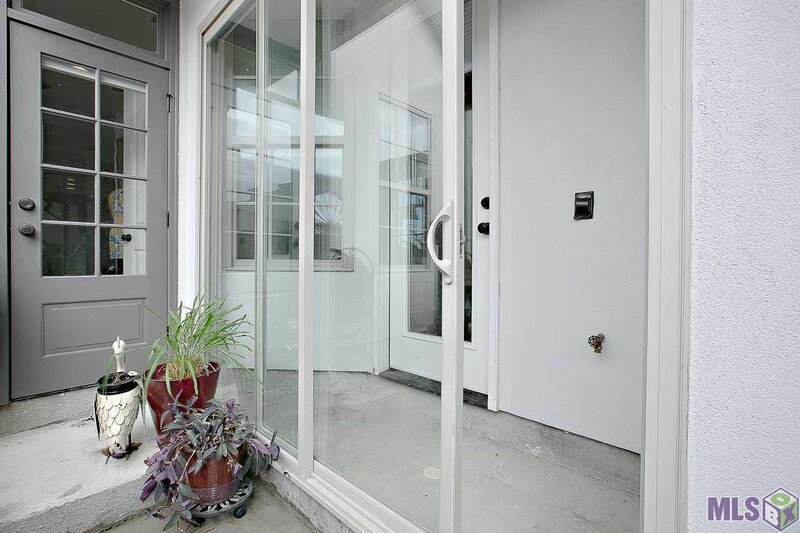 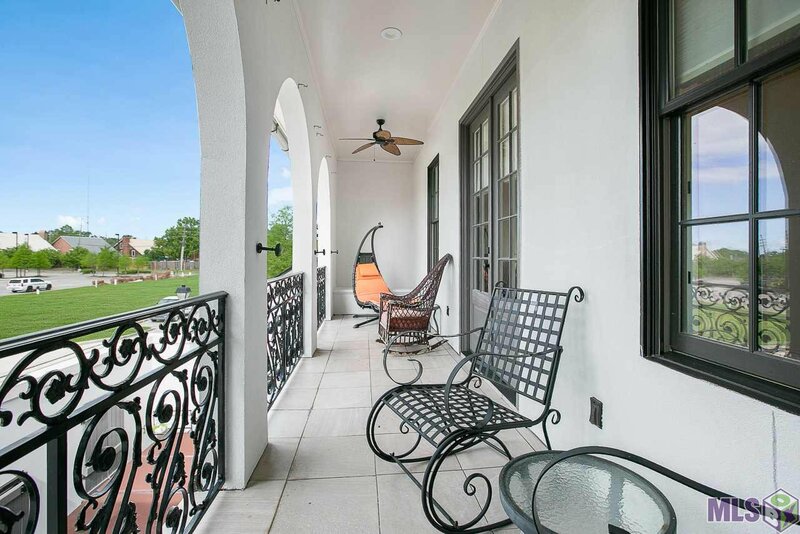 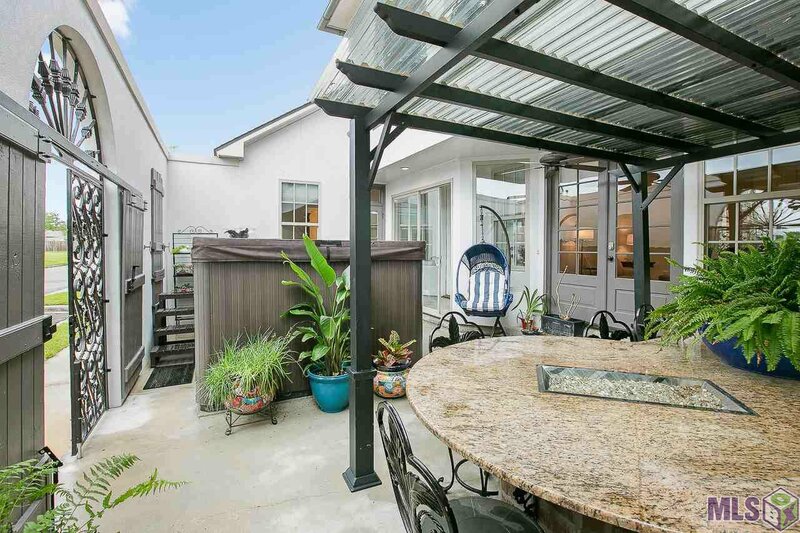 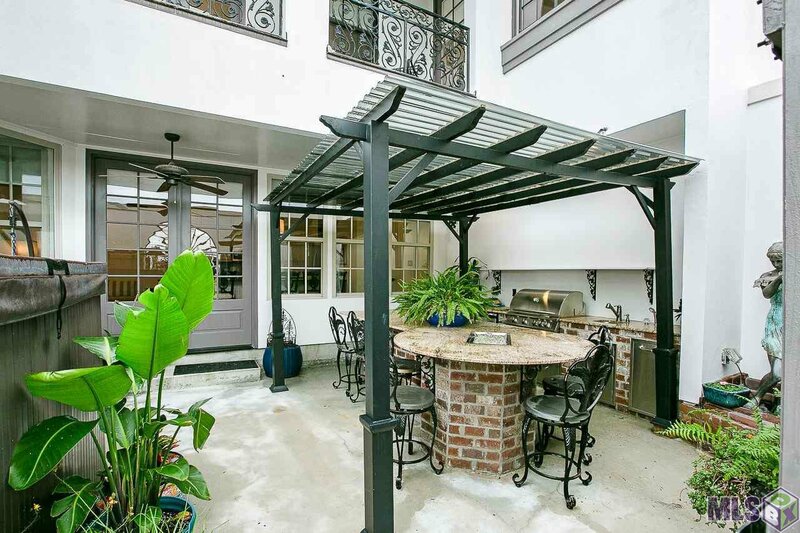 The patio is completely private with iron gates to exit onto the street. 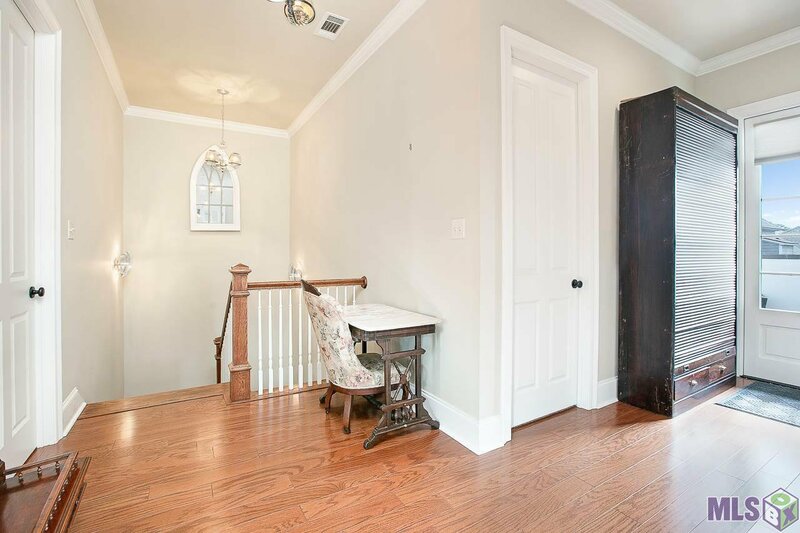 On the second floor of the home, there is an office with a door leading out onto the narrow balcony. 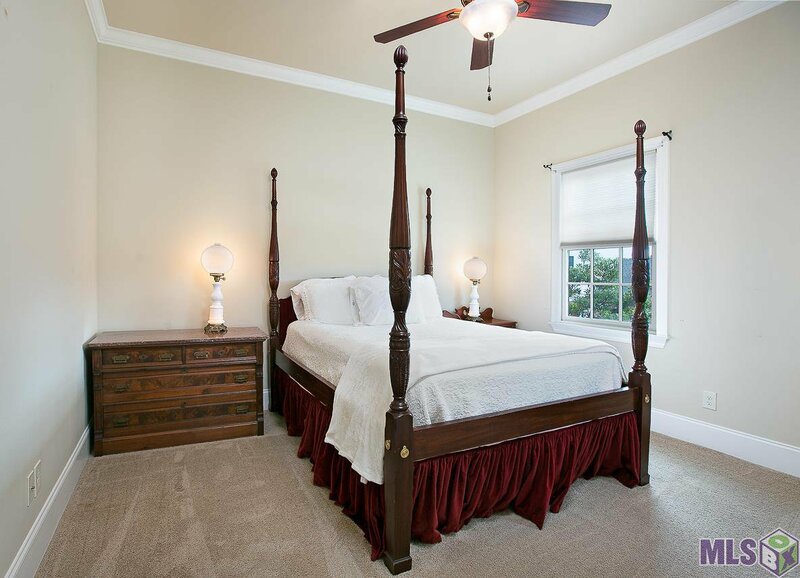 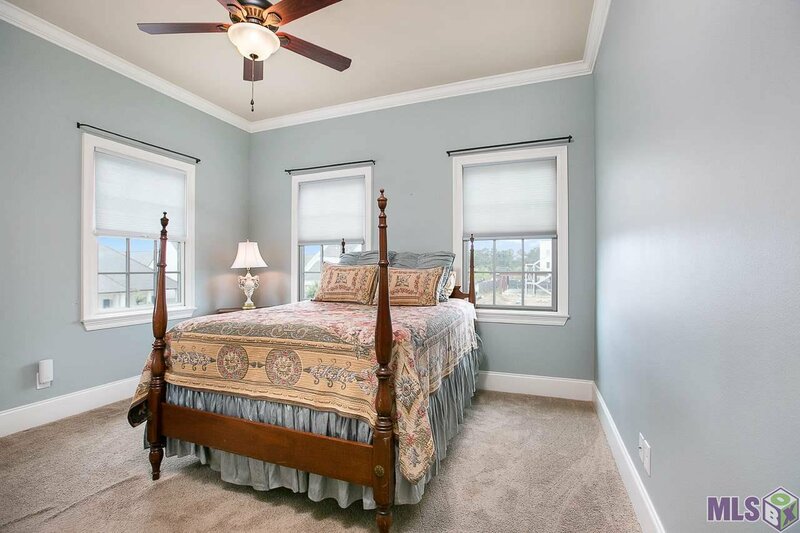 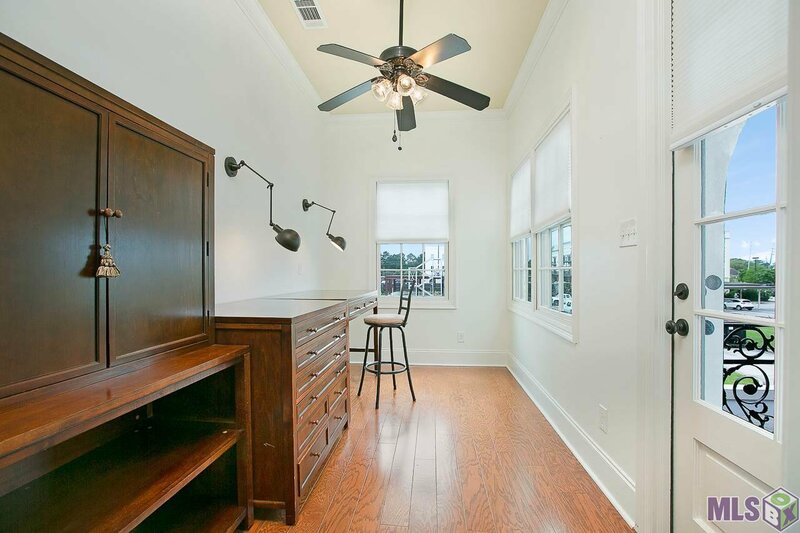 This beauty also offers 2 additional bedrooms upstairs, each with built in desks. 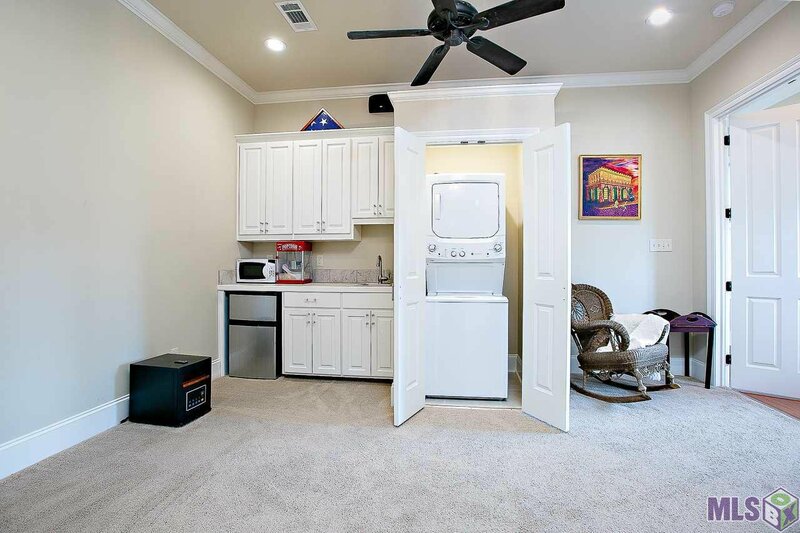 Guests (or adult children) will LOVE the spacious media room with kitchenette and stacked washer and dryer. 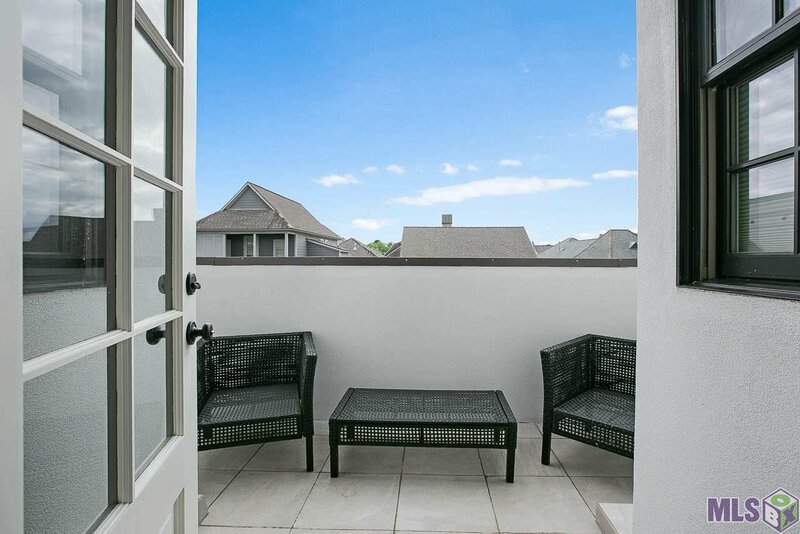 And of course, a balcony on the 2nd floor to enjoy more porch sitting.